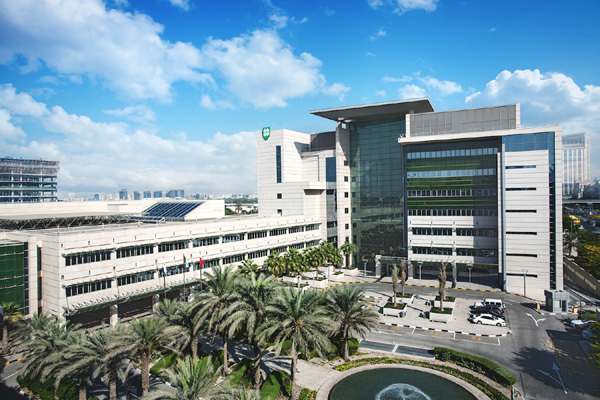 American Hospital Dubai, a leading private hospital in the Middle East, and Roche, one of the world’s largest biotechnology companies, have announced a partnership to bring to the UAE the latest and most advanced genomic profiling solutions. This new solution, FoundationOne, will be available to patients with aggressive and/or late stage cancers, in the UAE and will offer cancer specialists unprecedented insights into the molecular make-up of individual cancer patients as a basis for a more personalised and targeted approach to cancer care, said a statement from the company. Cancer is a major global health concern and cause of death around the world including the Middle East but every cancer is unique and so each patient needs access to professional support that can help identify the individual’s DNA alterations that cause cancer tumors to grow, it said. It is this deeper understanding of tumors at a molecular level that can help physicians match patients to the most appropriate personalised treatment options including targeted therapies, immunotherapies and clinical trials, it added. A new, simple, single genomic assay (test) can reveal these DNA alterations and these tests are now available to patients in the UAE and wider region, through the American Hospital Dubai and Roche partnership, providing patients and doctors with the insights to direct a much more individual level of cancer care. The results are available within two weeks of the test. The new genomic test, FoundationOne, is commercially available assays for solid tumours, to help guide personalised cancer care by determining the comprehensive genomic profile of a patient’s tumour through a tissue biopsy sample. FoundationOne applies sequencing to identify all four classes of genomic alterations across 315 cancer-related genes known to be drivers of solid tumours. “We believe this partnership could make a significant difference to the lives of these patients,” he said. “By identifying potential treatment options based on the molecular makeup of each patient’s disease, Foundation One provides patients and their families a personalized approach and a valuable source of hope,” he added. The American Hospital Dubai’s Cancer Care Center is a dedicated facility providing a range of medical oncology and hematology services for all forms of cancers and blood disorders, with a specialist team.